A video revealed that factory workers are injecting prawns with thickening agent. 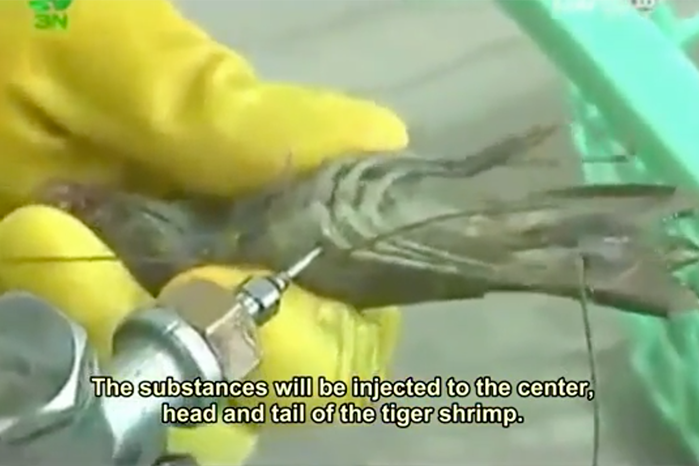 The video footage features tiger prawns in a Vietnam factory being injected in the head, tail and middle with a substance by the workers. It is believed that the tiger prawns are being injected with carboxymethyl cellulose, or CMC. What is CMC? It is the same substance used in other food products and commonly found in non-food products such as cosmetic products, creams, lotions and even detergents. CMC is most often used as a thickening agent and acts as a lubricant, water binder (increase shelf life of food) and food additive amongst others. 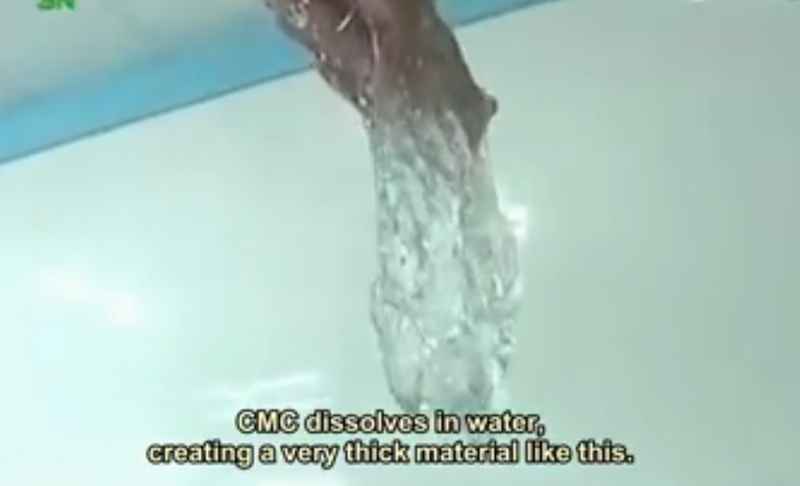 CMC injected into the prawns and shrimps can be dissolved in water and is not considered to be dangerous, although the injection would actually kill the shrimp. There are other materials with comparable properties on the market, but CMC is frequently used for its favourable price/performance ratio. This is an unscrupulous method to make the shrimps appear plumper and become heavier, all to earn a greater profit when they're sold, especially in the export market. It was reported that these shrimps are usually injected with CMC gel in some time between when the shrimp are caught and when they're sold. 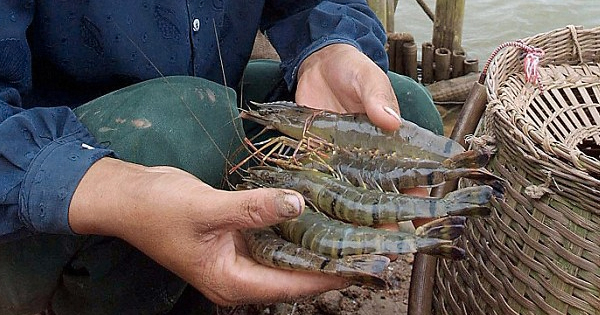 Back in 2005, China's Tianjin Administration for Trade & Commerce launched a crackdown on gelatin-injected shrimp after some of the first well-publicised cases appeared that year. 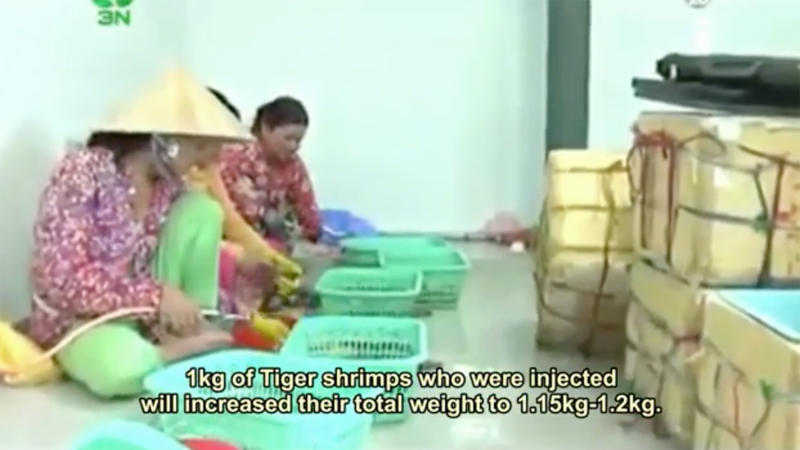 The discovery that countries like Vietnam (one of the world's largest producers for prawns with more than 600,000 tonnes of prawns a year, second only to China) are using chemicals to "fatten" shrimps is rather alarming. According to a professor at Shanghai Ocean University, there should be a cause for concern. 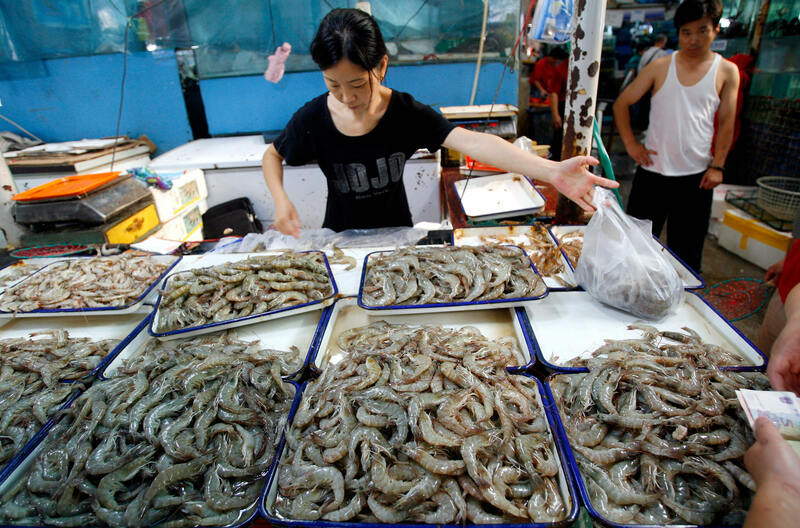 Wu Wenhui told The Epoch Times that customers should be cautious about industrial gel ending up in shrimp since it's more economical than the edible version that is being used at the moment. "Industrial gel is used for furniture, print, and contains many heavy metals such as lead and mercury, which harms the liver and blood, and is even carcinogenic," he was quoted as saying. What about prawns and shrimps from Malaysia? There was a huge fiasco when the US issued an import alert on prawns and shrimps from Malaysia (excluding Sabah and Sarawak) in April, which suggests that the seafood leads to health and safety problems. 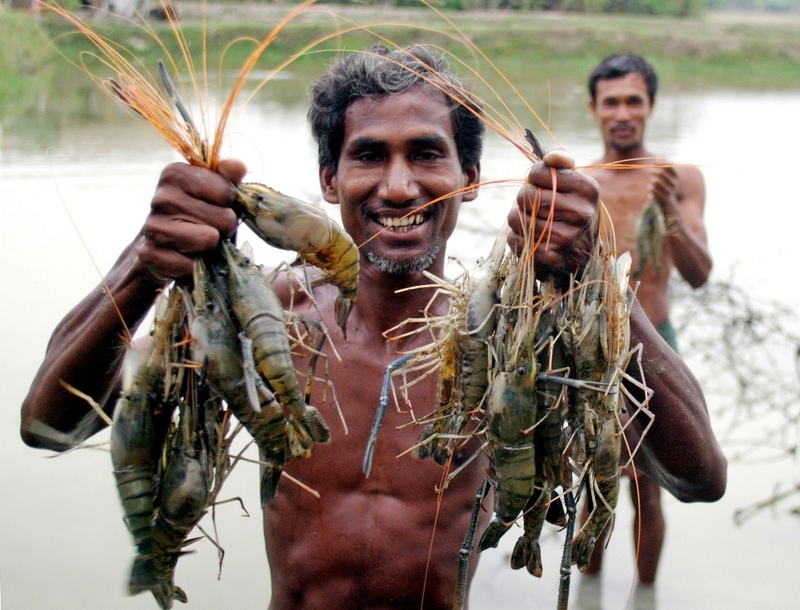 The U.S. Food and Drug Administration (FDA) stated that they found "clear scientific evidence" that aquaculture-grown shrimp and prawns from Malaysia contain traces of chloramphenicol and nitrofurans. They are antibiotics that help prevent disease in prawns and shrimps but harmful if consumed by humans. The import alert further cited a study by the FDA that ran from 1 October 2014 till 30 September 2015, which revealed that 32% of the shrimps and prawns exported from Peninsular Malaysia contained antibiotic residues. The irony lies with the fact that these antibiotics are banned in both Malaysia and the US, since they potentially have carcinogenic, toxic or allergenic effects. Malaysia exported 8,311 tonnes of shrimps to the US last year, and we are one of the top 10 exporters of prawns and shrimps to America. However, this is not exactly something new. Malaysia has an established history for acting as a conduit when the US FDA imposed an import alert on China’s shrimps in June 2007. 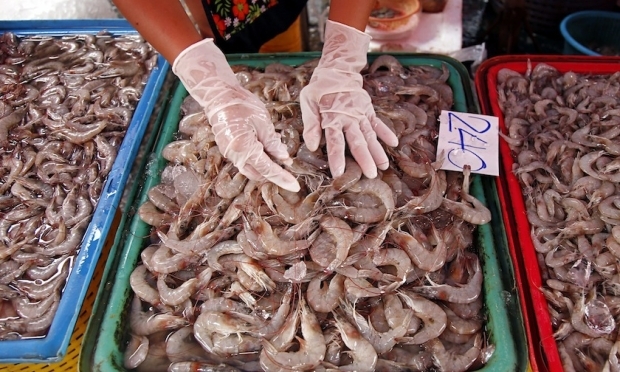 The US Government Accountability (GAO) office had highlighted in 2009 that China’s shrimps, which were tainted with unapproved drugs, were being illegally transshipped to the US through Malaysia to evade both duty payment and food safety controls. Following that, in March 2008, the FDA issued a new import alert requiring one Malaysian manufacturer to prove the absence of unapproved drugs prior to entering future shipments of shrimp into the US commerce. "While other foreign shrimp suppliers will go to great lengths to be removed from an Import Alert, Malaysian companies tend to simply remain on these lists," non-profit group Southern Shrimp Alliance wrote in 2015, calling the FDA to be more stringent with shrimps shipped from our country. So, is it safe for us to eat the prawns and shrimps that are produced in Malaysia? 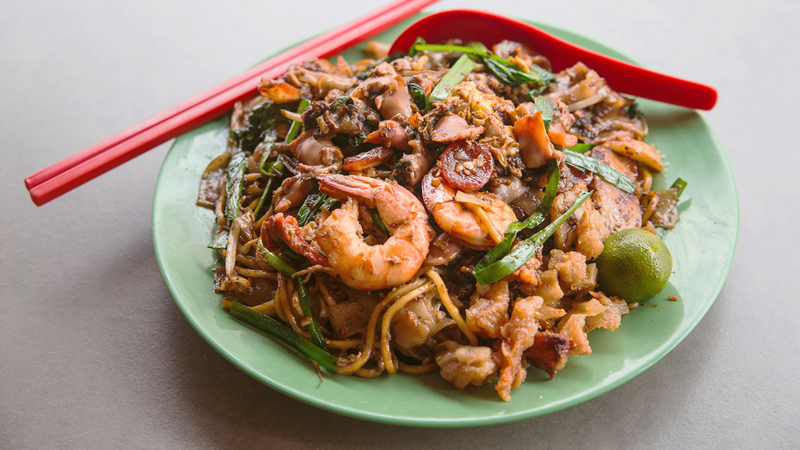 While the US issued an import alert for our prawns and shrimps, the Singaporean authorities have cleared the seafood imported from Malaysia of containing traces of banned antibiotics nitrofurans and chloramphenicol. "We have not detected veterinary drug residues such as nitrofurans and amphenicols in prawns and shrimps from Malaysia," it said in a statement following the incident. Responding to the matter in April, Malaysian Agriculture and Agro-based Industry Minister Datuk Seri Ahmad Shabery Cheek reportedly said that prawns and shrimps imported from Malaysia did not involve approval or monitoring from any authority, including his ministry, the Ministry of Health (MOH) or Ministry of International Trade and Industry. However, he said the necessary actions have been taken including setting up a special committee to control the export of prawns to the US and tightening conditions at processing plants, which must be approved by MOH. So, why do people still want to use substances like antibiotics in aquaculture anyway? Back in May, S.M. Mohamed Idris, president of Consumers Association of Penang (CAP) called for businesses to stop using banned antibiotics in prawn farming. "The fact is the two antibiotics, chloramphenicol and nitrofurans, are banned for use in Malaysia since 1985. 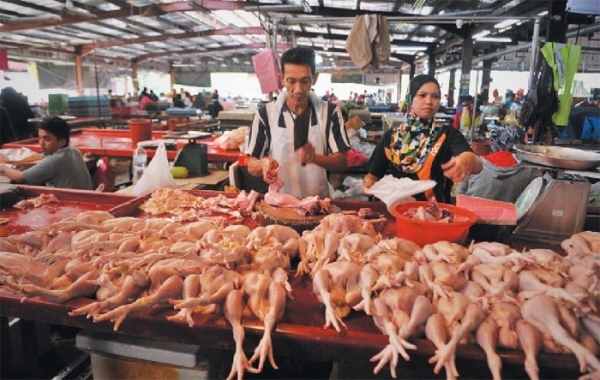 Yet they continue to pop up in our farmed fisheries and farmed meat products," he wrote in an open letter on Malay Mail Online. Singapore's Straits Times cited an aquaculture expert who said that there are other methods that could keep the shrimp and prawns healthy. However, since these businesses are in it to get profit through enhanced production, they are reluctant to use these treatments as they are more time-consuming and less effective than using the said antibiotics. This is what we called as economically motivated adulteration (EMA), which is the practice of using substandard food products or ingredients for the purpose of economic gain. A recent finding by seafood watchdog group Oceana revealed that 20% out of 25,000 seafood samples tested across the globe were mislabelled. Not only are consumers being cheated into paying for something they're not actually getting, but they could possibly consume food that carried health risks. It's unfortunate that unscrupulous businesses have continued to be financially motivated and have successfully deceived consumers. In fact, food fraud has been so rampant that there is a team of dedicated researchers fighting food fraud at Queen’s University Belfast in Northern Ireland. They call themselves 'The Food Detectives'. Surely, it's quite comforting to know that there are people out there who are fighting these fraudsters. Is there anything that we can do to avoid these deceptions? Michael Ellis, head of Interpol's Trafficking in Illicit Goods unit once said, "Fake and dangerous food and drink threaten the health and safety of people around the world who are often unsuspectingly buying these potentially very dangerous goods." 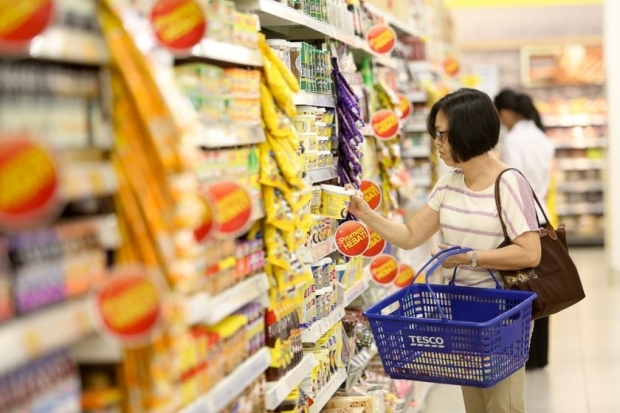 Speaking of which, do you know what are some of the rights you have as a consumer in Malaysia? The substance used to prepare these food is produced from petroleum products. Just because it's been in the fridge, doesn't mean it's free from bacteria! 10 Things You Should Never Put In The Microwave. Ever. CAUTION: Don't try these at home!